What are Hydroponic Kits and where are they used? If you are a hobby gardener looking for a Hydroponics Kit In Chennai, FutureFarms store is your one stop shop for all hydroponic equipment! We design and manufacture hydroponic kits in Chennai and ship all over India. At FutureFarms we offer four kinds of hydroponic kits; the Darwin Series, Leaf Station Series, Leaf Pyramid Series and Air Bucket Series. Our most basic hydroponic kits are the Darwin series which have been designed to encourage children to learn about hydroponics and get growing at a young age! The Leaf Station and Leaf Pyramid Series are our NFT systems used to grow leafy greens and herbs. The Leaf Pyramid Series are compact and space efficient vertical grow towers for those who want to grow a lot using little. Our Leaf Station series offers growers with a flat grow bed that can be fit into your balcony, patio or any other outdoor area with limited space availability. Finally, for those who want to grow their own vegetables, we have the Air Bucket Series using the Deep Water Culture technology. These hydroponic kits can be used to grow all your fruiting vegetables for your kitchen’s needs. Once you’ve picked a hydroponic kit to meet your space, budget and plant requirements, club it with a FutureFarms Grower Kit to get all the hydroponic equipment that you will need to get started! With a Growers Kit you will get all the hydroponic essentials; Nutrients, ppm pen, pH test kit, pH buffers, Seedling tray and Seeding Mix. 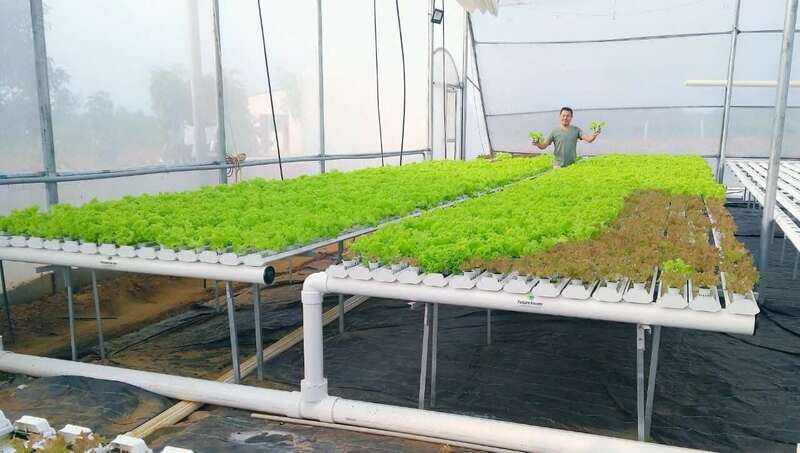 Using the FutureFarms Hydroponic Kit and the help of one of our Urban growing experts you will be all set to grow your very own fresh hydroponic produce! Get in touch now!